Spring/Summer is always the right time to look for the trends, because you know most of the styles are going to be around for a few months. Also, after the dark theme of the fall and winter, the summers make way for fresh colours and designs. 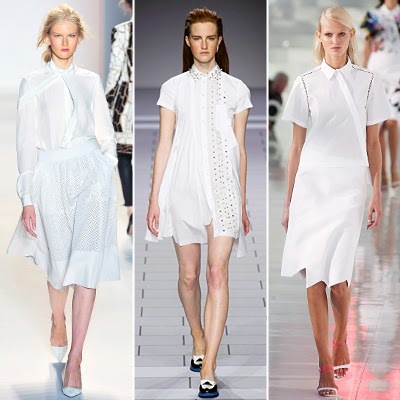 If you are looking for Spring/Summer 2014 trends, here’s a list of the top picks. 1. 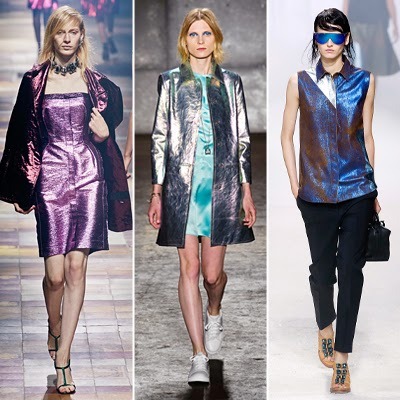 Go metallic: While this is not something you haven’t seen before, metallic looks work because the colours are not staples for the summers and spring. The best thing about the current looks is the choice of patterns, which is not restricted to one colour but moves ahead to many shades and even the rainbow hues. There are skirts, dresses and accessories to choose from. 2. Go mesh style: If you are someone who dares to bare, get a good camisole and top it with a transparent or mesh outfit. The more you explore in the designs, the better, but this is one of the best trendy designs for the upcoming season. Black and white are great choices for that more stylish look, but given the fact that pastels are hot options, you can try them as well. 3. Go pastel with the palette: Floral for spring and summer is something we are always used to, which is why the choice of pastel colour as the spring essential is a good welcome change. Seen at most of the designers, the colours are versatile, starting from the beautiful rose and lavender shades to more cool shades of yellow and blue. Pick the single colours or opt for patterns- the choices are varied as ever. 4. Go the crop style: The Crop Tops are one of the hottest properties for spring this year. Spotted in DKNY Spring 2014 Ready-to-Wear Collection among others, the looks are different and stylish by all means. Of course, you need to get in shape for trying the style, but this is totally worth the time you spend at the gym. The black and white combination was something that was seen in most fashion weeks, but if you love the pastel clothes online and on the runways- choose them too! 5. Go white: Just mentioned that black and white have been among the trending colours of the season, but the statement white blouses seemed to be a total hit. Lovely designs and simply cool enough for casual and formal look, this is one look that can be experimented with. While some designers seemed to love the look with embellishments, there were others who styled their models with shirts having necktie detailing. Choose what suits you because the occasion often determines what you wear. Happy styling for the spring and summer! Author: Heidi is fashion expert with humour and style! She is known for being a guest writer for some of the most reputed online blogs and magazines and has been a keen observer of trends and styles. She is often invited for writing on the various fashion shows, where she views the trends from different aspects.